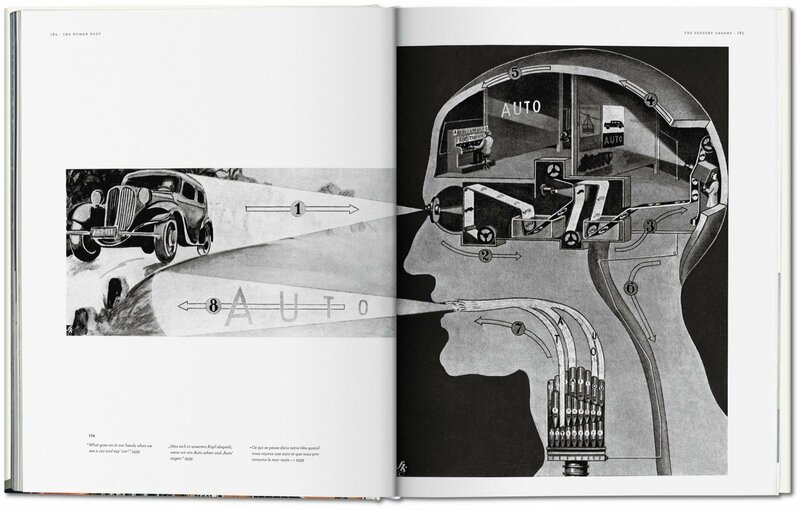 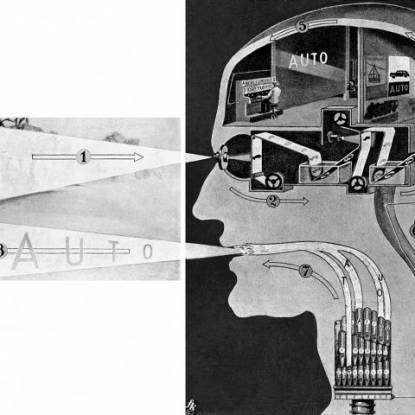 Fritz Kahn’s popular-science illustrations anticipated modern infographics long before the term even existed. 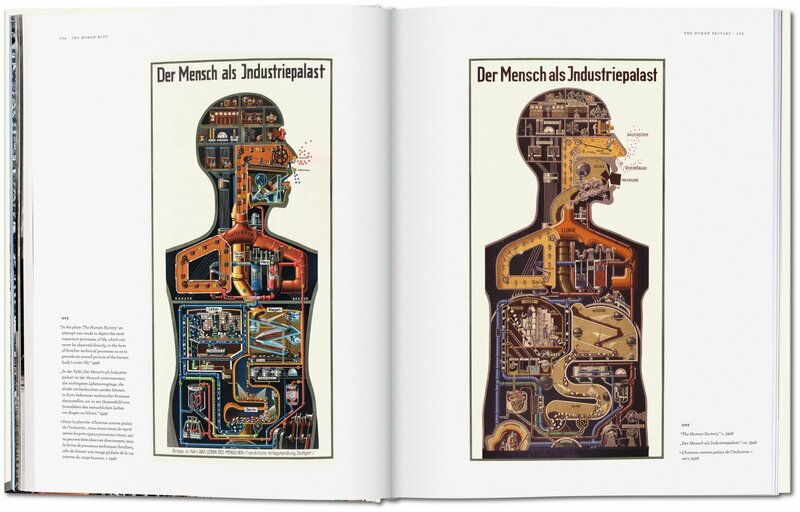 Featuring over 300 images, this collection throws the spotlight on the German physician’s pioneering visual metaphors, including intriguing analogies between humans and machines. 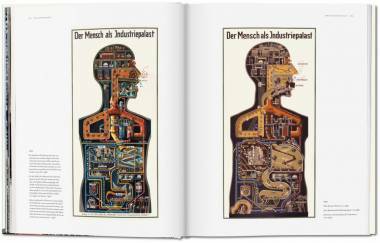 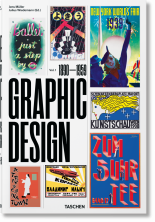 The featured graphics are accompanied with original texts by Kahn and an essay on his life and work by Uta and Thilo von Debschitz. 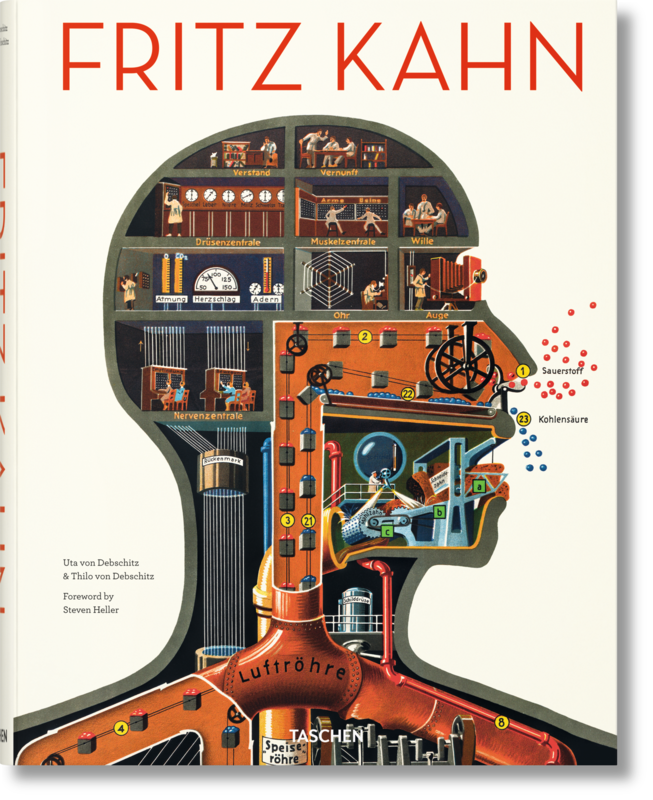 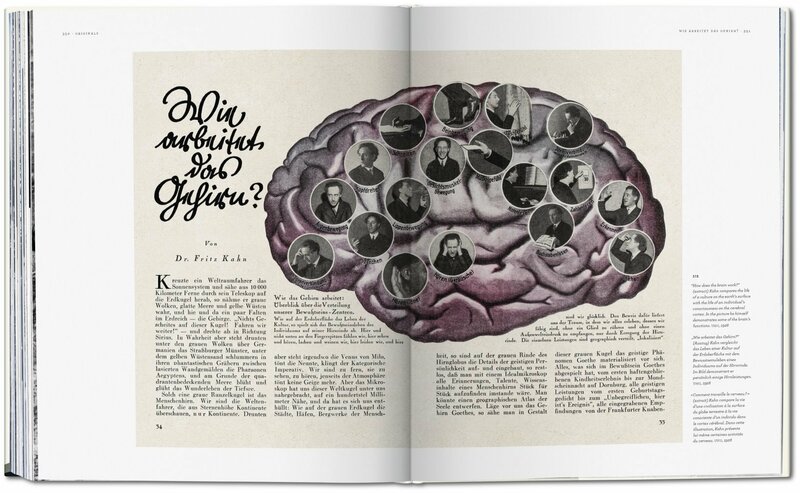 Fritz Kahn was a German doctor, educator, popular-science writer, and information graphics pioneer whose brilliant work has all but fallen into oblivion. 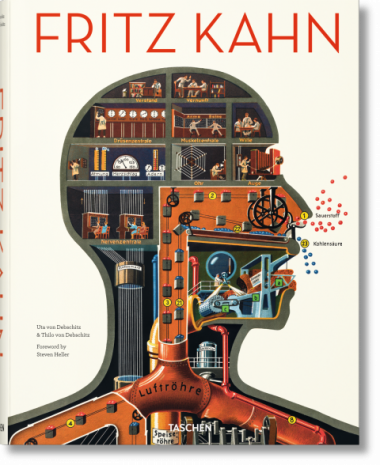 Chased out of Germany by the Nazis, who banned and burned his books, Kahn emigrated to Palestine, then France, and finally the United States to continue his life’s work. 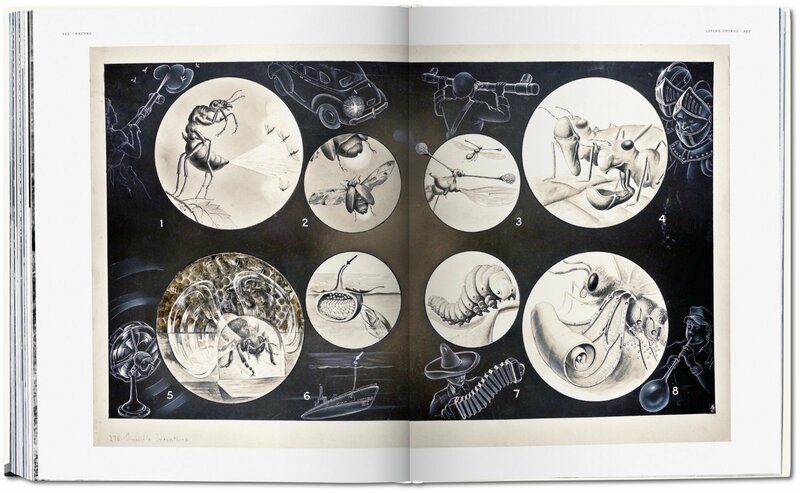 Though his achievements were numerous, the most notable was the development of creative visualizations to explain complex scientific ideas. 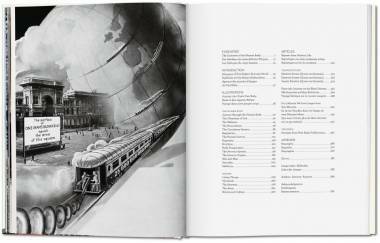 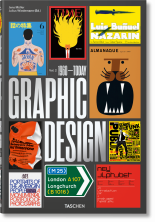 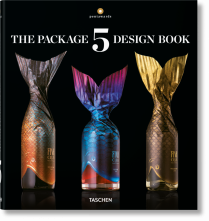 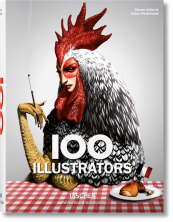 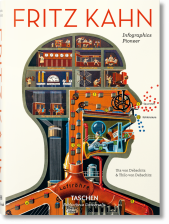 Published on the 125th anniversary of Kahn’s birth and destined to bring his work back into the spotlight, this monograph features more than 350 illustrations with extensive captions, three original texts by Fritz Kahn, a foreword by Steven Heller, and an essay about Kahn’s life and œuvre. 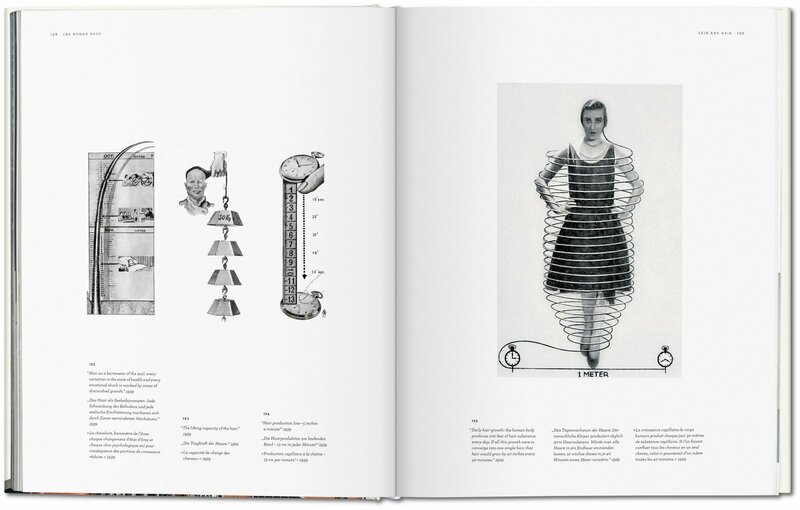 Natural-science buffs, graphics professionals, and anyone interested in visual expression of ideas will be fascinated by this tribute to Kahn’s greatest achievements.